The Bangalore Metropolitan Transport Corporation (BMTC) will introduce feeder services under the name of ‘Big Connect’. The service is based on the directive issued by the High Court of Karnataka and will be effective on 19 routes across Bengaluru from 26th June 2011. Services for two more routes will be announced after BWSSB has finished laying of pipelines. The service hopes to improve bus connectivity in outer areas of Bangalore. The press release issued by BMTC says that the department will assess the performance of all the routes for a period of three months and then take a decision regarding continuation or otherwise after bringing it to the notice of the High Court. 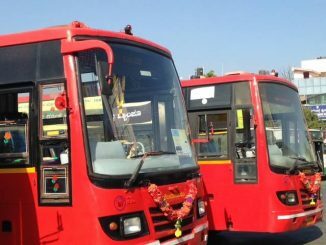 Speaking to Citizen Matters, Sampangiram Gowda of BMTC said, "The buses will be operated on a frequency of 20 minutes starting from 7.30 am and ending at 7.30 pm. After the trial phase we are looking to extend the timings to 10.30 pm." On the occasion of its 61st Bus Day, BMTC set out to improve safety measure for women on its buses. It also introduced additional Chakra services to improve connectivity in Yelahanka. This Jayanagar parking lot was inaugurated amidst much fanfare last year. It has space for around 60 cars and 20 bikes and is mostly unused. Find out why. Is BMTC perpetuating a class difference with Volvos and regular buses? BC 3 A route bus which was convenient to CPWD quarters HSR has been changed to somasundarapalya to Majestic via parangipalya, silkboard. Pl. alter route from somasundarapalyato parangipalya to CPWD quarters, agara and majestic.We are facing much problems As per High court order issue routes accordingly. It may appear that BMTC is just making an half hearted attempt just because the high court has given the directive. 1. The Big Connect buses doesn’t have a different paint scheme like the Big Circle or Big 10 buses. BMTC is just using the run down normal BMTC bus with a Big connect sticker to ply these routes . 2. There are no LED boards and the route display boards are badly written. In fact, the bus I saw had both BC-3A and 340-A boards to confuse the passengers.This makes me wonder whether BMTC is keen on any passenger boarding these buses. 3. Apart from the newspaper announcements, has BMTC conducted any awareness sessions to educate the public about these new routes? 4. These are feeder routes and it makes sense to ply smaller buses in these routes. Plying the normal BMTC buses doesn’t make sense in at least some of the “big connect” routes unless the plan BMTC has is to portray to everyone that these routes are not economical. The article says that the High Court had directed the BMTC to start these bus service. How can the High Court issue such a directive. Isn’t this a decision which should be taken by BMTC or any state govt agency? I saw the BC-6 bus for the first time today Jul 1. I think they have started only from today. BC-6 (fingers crossed) is a boon to Rajarajeshwari Nagar as it is the only connectivity to Channasandra, Uttarhalli from RR Nagar. I hope they run perfectly as BMTC has declared.